Low-Pressure House washing in one of our signature services. 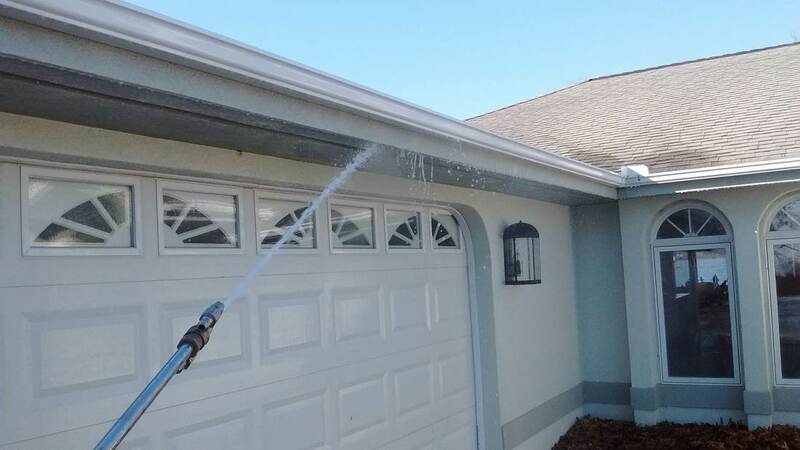 We use a low-pressure system that allows us to safely clean your house without using ladders, high pressure hoses, or harmful chemicals that could harm your house or destroy your plants. You can save thousands of dollars and make your house look like new again by cleaning off that nasty green and black mold while brightening the paint! Many customers originally call us to prep the house for a paint job, but after cleaning realize that they really did not need a paint job in the first place! 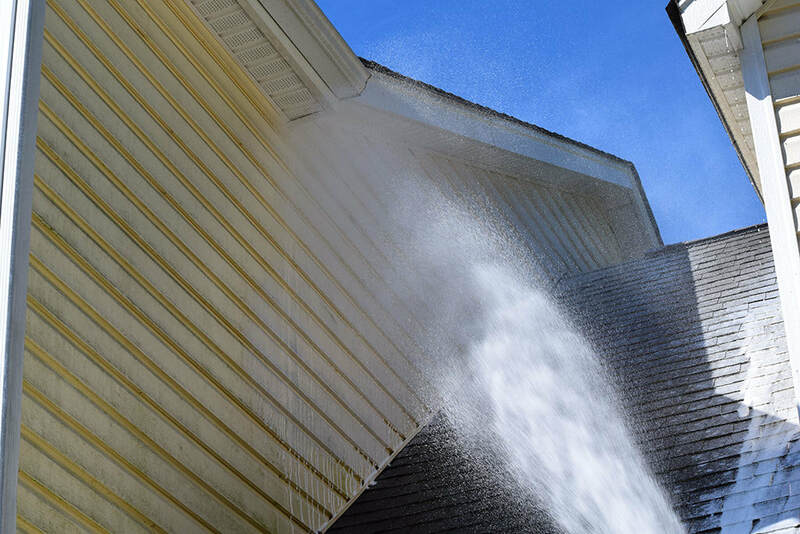 Our signature low-pressure house wash system is safe to use on all types of siding: vinyl, stucco, hardiplank, brick, painted wood and wood-composite. 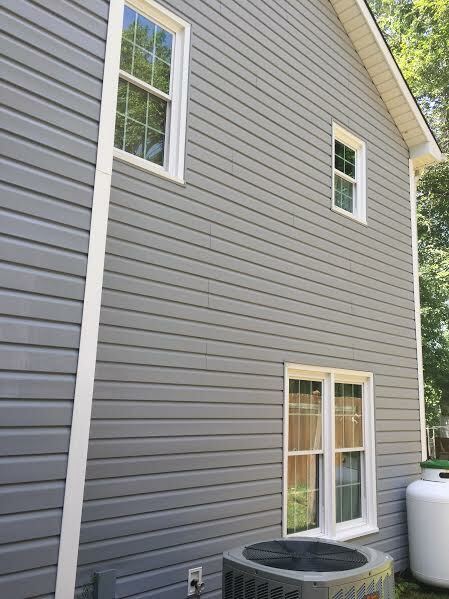 Why does our system clean your siding so well? ​Our low-pressure system is key in terms of removing the build-up and mold from your home and preventing it from coming back immediately. Using high-pressure may remove the mold quickly and cheaply, but you run high risk of damaging your siding. Our low-pressure washing system is specifically designed gently remove the build-up and mold effectively without damaging your surfaces. 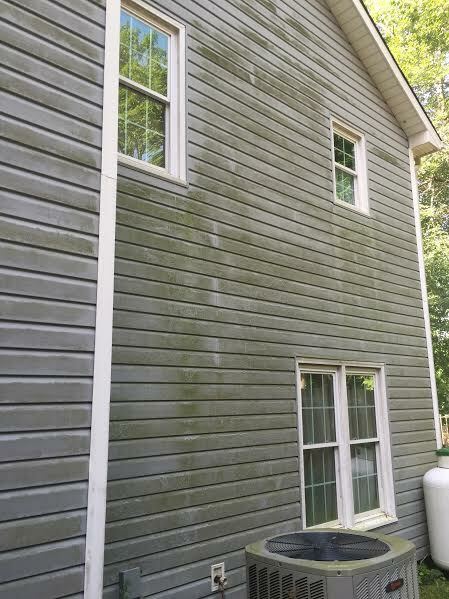 Can pressure washing damage my house? Yes! High-pressure systems are not safe to use on any type of siding. That's why we use a low-pressure wash system.